Ocean Group of NiGK Corp. (NiGK Ocean) has developed and supplied mechanical units, research equipment, monitoring equipment and surveillance equipment to be used underwater according to customer's request. As our inventive design, there are multi water sampler and single/multi coring unit installed in ROV. 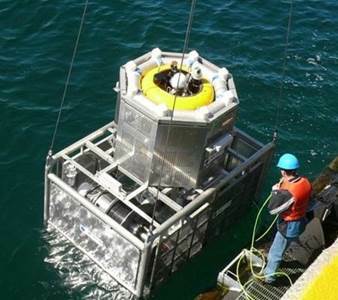 We participated in some cable network projects (DONET, NEPTUNE-Canada), and developed observation platforms incorporated in the mooring array connecting sub-surface layer and land by mobile phone. Among our ocean equipment, we introduce the underwater winch that can be accepted by anyone of maritime engineers. Our winch component has the following characteristics. 1: It works with batteries. You might think of a huge winch on a ship, but we developed small electric winches that move even with batteries (DC24V). 2: Using it underwater. Main mechanical parts are sealed in oil so as to avoid bio-fouling and electric corrosion in salt-water. 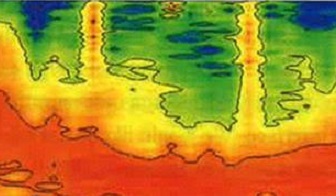 This oil-filled structure is also effective against water pressure. What can do with an underwater winch. By attaching a winch to the underwater observation platform, you can dramatically expand the monitoring area. What was monitored for a point becomes on a line, what was on a line becomes on a XY cross-section, what was on XY was becomes 3-dimension. 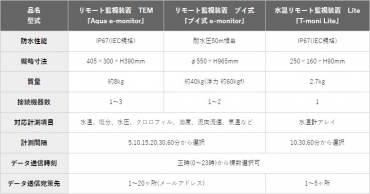 It becomes +1 dimensional monitoring tool. 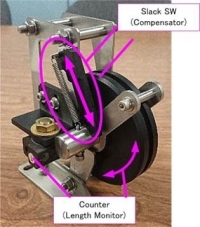 Winch-control is simple, basically just three commands; “Rope OUT”, “STOP” and “Rope IN”. If winch receive these signals from the Hydrological Sensor side, you can make a Vertical Profiler as latest observation platform. It is composed of 2 major units: Profiling Sensor Buoy (here-in-after, Buoy) and Underwater Winch (here-in-after, Winch), the former comes with CTD sensor, Iridium, Acoustic remote and data logger. 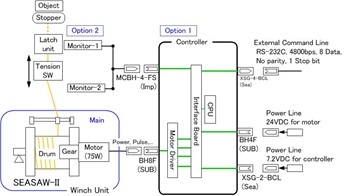 Winch usually works in accordance with the timetable preprogramed in the inner memory, while on NiGK vertical profiler, Buoy controls the operation timetable. So the Winch of which Acoustic Remote is additionally installed will be remotely operated when the Buoy starts up. Buoy wakes up by the operation timetable and sends the wake-up command to Winch via acoustic remote. And Buoy turns on the installed sensors. After running the sensors, Buoy starts data-logging with 1Hz. When Winch receives Buoy’s wake-up command, Winch starts its motor operation with rope-out direction (out-speed: approx. 0.25m/sec). And then Buoy shifts up by its buoyancy at approx. 0.25m/sec. When Buoy reaches surface, Buoy starts searching for Iridium satellites. 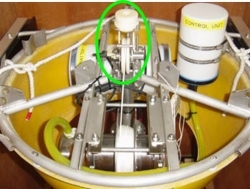 If Buoy finds Iridium, Buoy transmits the stop command to Winch. Buoy starts data transmission to the registered mail address through SBD service. Transmit data are news flash extracting from the complete data. When data transmission is completed, Buoy sends the down-command to Winch. After the receipt of command, Winch starts reeling rope and Buoy becomes stand-by (sleep) mode in order to save the battery. Finally Winch docks Buoy with its latch unit, and Winch sleeps by the next wake-up command. Such observation platform using winch component, is operating for a long time in several seas. In the Baltic Sea, the Mediterranean Sea, the Northern North Pacific, and the East Coast of India, you can also confirm on the web. What is the advantage of underwater winch? For example, water proof, water resist, water pressure, corrision resistance are all the necessary specifications for the underwater winch for professional use. 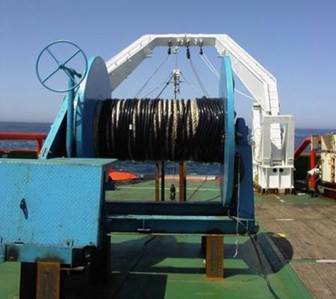 Additionally, the winch has to be eqipped with components like insulation, power supply, detection sensors, automatic control system, hydraulic or electric drive.The appearance of board type winch and underwater winch (SEASAW) looks the same, but SEASAW is full with indigenous technologies and our experience.